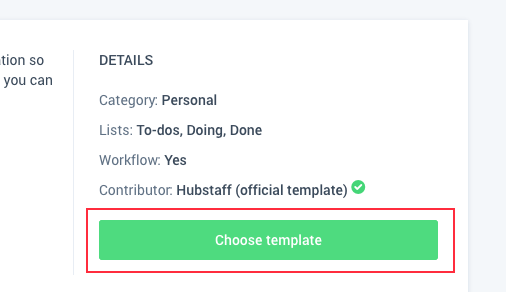 Projects in Hubstaff Tasks are where you organize the different tasks you and/or your team members will work on. Projects can encompass anything you want, such as “Development” or “Sales”, or they can be specific to clients or team members. When you have at least one project created, you’ll be able to start adding tasks to it. Click “New project” to create a new project (you’ll organize lists and tasks under each project, and can create as many as you need). 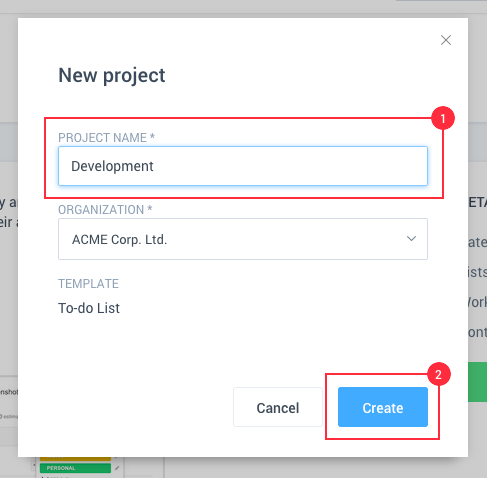 You’ll be able to choose a template to help you quickly create a project (there is also a “Blank” option if you wish to not use any template). Click “View Details” to see more about the template and select it. Enter a name for the project and click “Create”. Lists are groups of tasks. You can add as many lists as you need and move them by dragging them from one position to another. 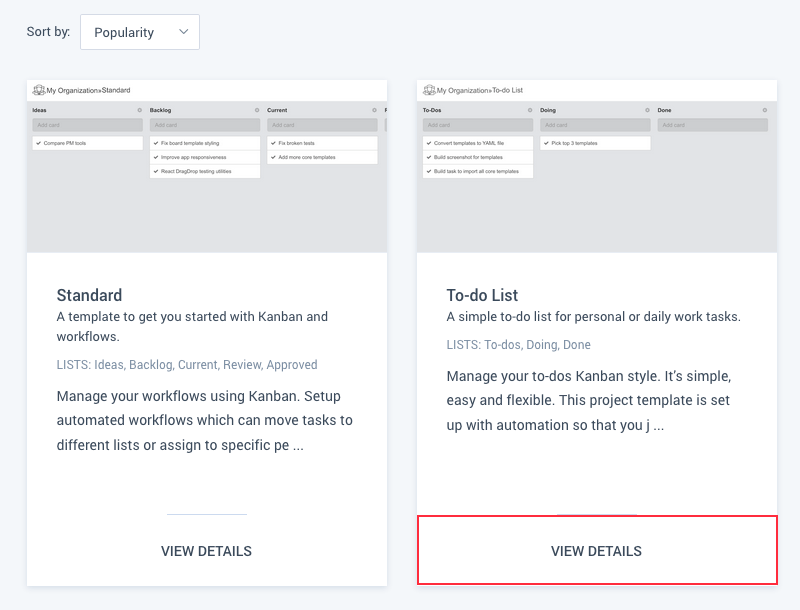 After creating a project, you’ll see some lists already created (if you selected a template). 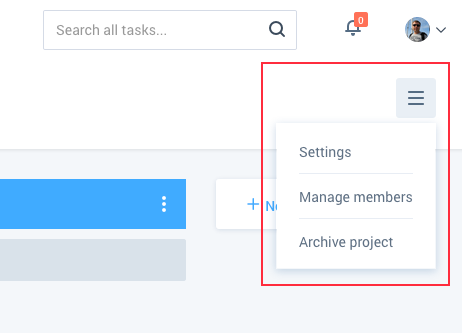 You can click on the menu icon on a list to change the settings, or you can click the “Add a task” to quickly create a task. 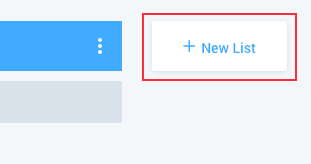 You can also create a new list by clicking the “New list” option. You’ll be able to enter the name of your new list and click the enter or return button to save and create it. When you have lists, you can start adding tasks to them. You can assign different members to tasks to assign them or set them as followers. You can access your project settings in the top right corner of your project. The “Settings” option will let you change the name of the project, change its parent folder, archive it, or delete it. 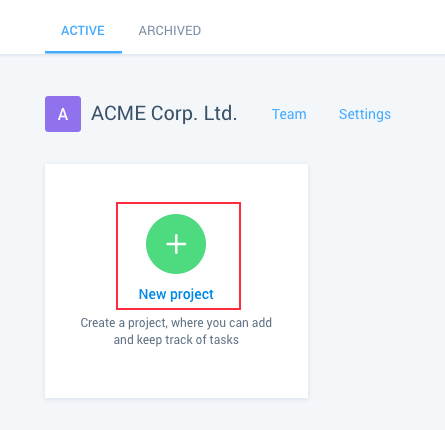 The “Manage members” option will allow you to invite new team members or change permissions of existing team members so they can view or collaborate on the project. The “Archive project” option will allow you to get the project out of the way by archiving it (it’s essentially soft deleting it – you can unarchive the project at any time if you need to).